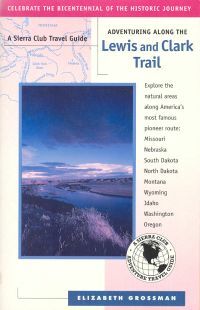 Description: Explore the natural areas along America's most famous pioneer route: Use this comprehensive guide to plan your outdoor adventures in the lands that were explored by Lewis and Clark This Sierra Club travel guide is designed to get modern day adventures out of their cars and into the landscape to sense how it might have looked to the Corps of Discovery. It features tips on the best hikes, walks, backpack and bike trips, canoe and kayaking. Also, you will appreciate the state-by-state profiles of wilderness areas, parks, and biological preserves along the trail. 280 pp. Paperback.